Designed to hold either magazines or tri-fold brochures. 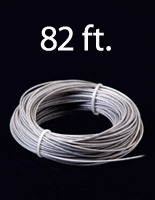 1/8" thick acrylic is crystal clear for maximum visibility. 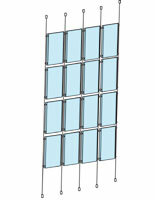 Adjustable divider can display different sizes of literature. 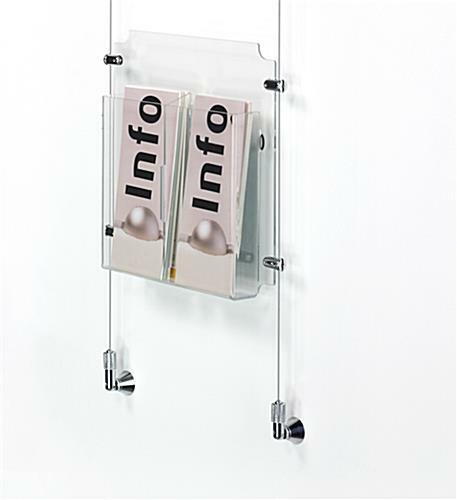 These adjustable brochure pockets can be manipulated for displaying multiple styles of pamphlets in your wire suspension kit. 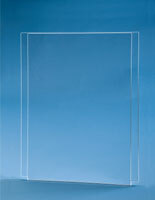 The acrylic containers are perfect for getting information out to people quickly and efficiently. The brochure pockets have a removable divider that allow for quick changes between tri-fold pamphlets to traditional magazines. 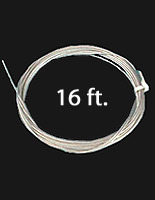 Just unhook the clips in the back of the brochure Simply remove the o-rings on the back of the sign display unit and take out or replace the divider. The brochure pockets are ready for displaying literature after the hooks behind the unit have been reattached. The pamphlets are ready to be placed in the top of the container for public viewing. 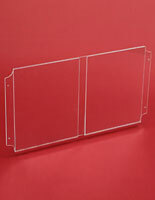 These brochure pockets are made of laser cut acrylic that is 1/8" thick. There are 4 holes that are made in each corner of the plastic unit. 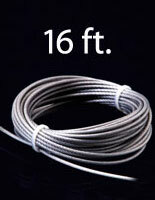 The brochure pockets line up with the clamps in our cable display system by using those 4 holes. This process is shown in the image to the left. These brochure pockets do not come with side clamps; they need to be purchased separately. 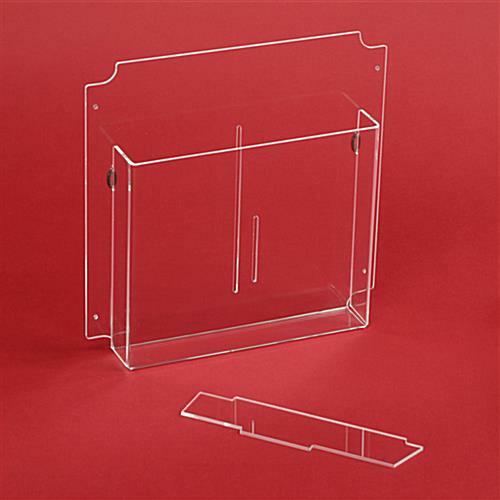 Combine several pamphlet and literature holders to design a custom, eye-catching display!